Mikon skal ha flaggskipsmøte 29.okober fra 1230-1530 på Framsenteret, møterom Kompasset i Lysgården. This is an invitation to submit proposals to the flagship «MIKON» for the budget year 2019. Please click on "Flagships and funding" and then "Proposal submission for 2019" for more information and for submission of proposals. You must be logged in to apply. If you haven`t applied for or reported from a flagship project before, please register for username and password. Latest research news from the Fram Center Flagships! Her er sammlingen av alle forskning som er gjørt i regi av Framsenterets flagskipene i 2017! All project proposals to the Fram Centre flagships for the budget year 2019 are to be submitted electronically together with administraion information which must be filled in and submitted in form avalible at this link https://goo.gl/forms/oSaMshL6FgR2ouwH2REMEMBER to save the link you get at the end of the form if you wish to edit this form at a later date! 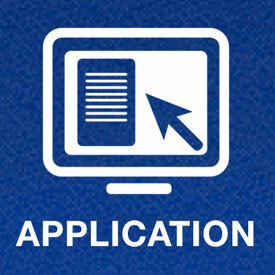 The application form is attached in word-format here. Applications should be in PDF-format. Fill in the project title, select flagship and upload a file containing the complete proposal. Resubmission of proposals is possible until the deadline. Your submitted proposal(s) are found under Mypage, when logged in. The specific calls for the individual flagships can be found under flagship and "News". You will find specific scientific programs under each flagship button.